Good evening, readers! 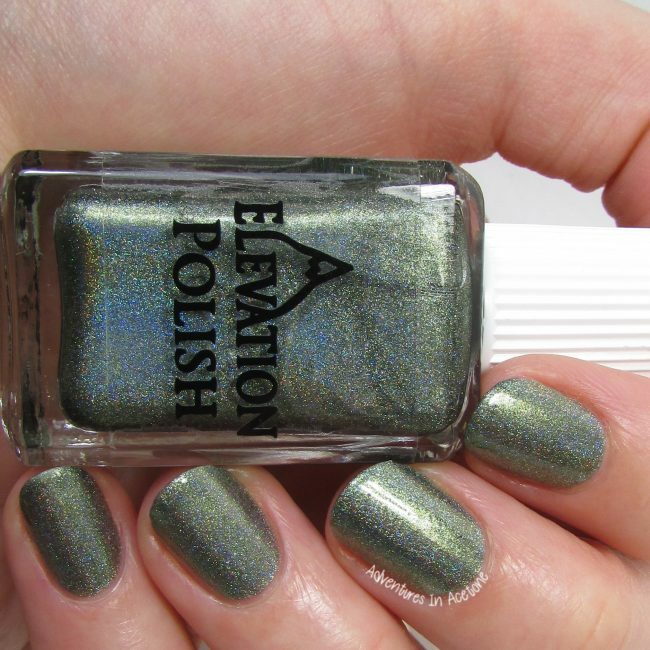 It’s a new month, and that means I have the Elevation Polish Wonderful Washington Collection for September. 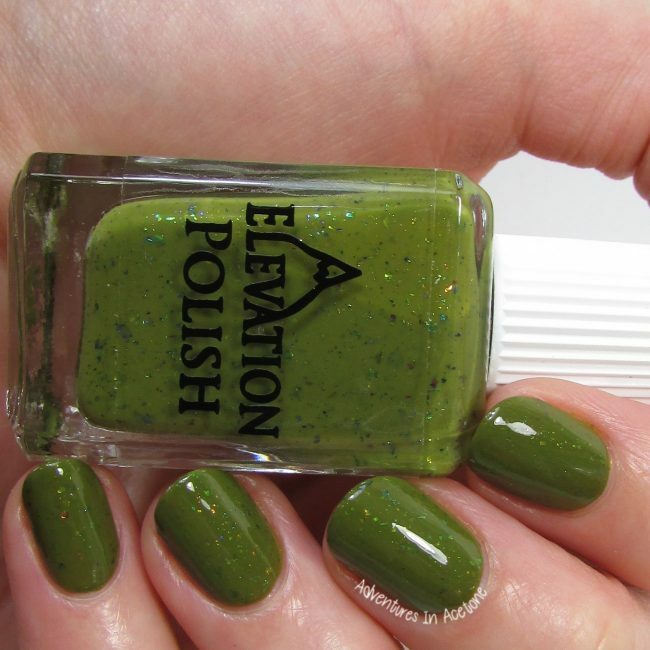 This collection consists of 5 polishes inspired by the Olympic National Park/Forest. They are releasing on September 7th at 9PM Central with a restock on September 22nd at 9AM Central, let’s take a look. 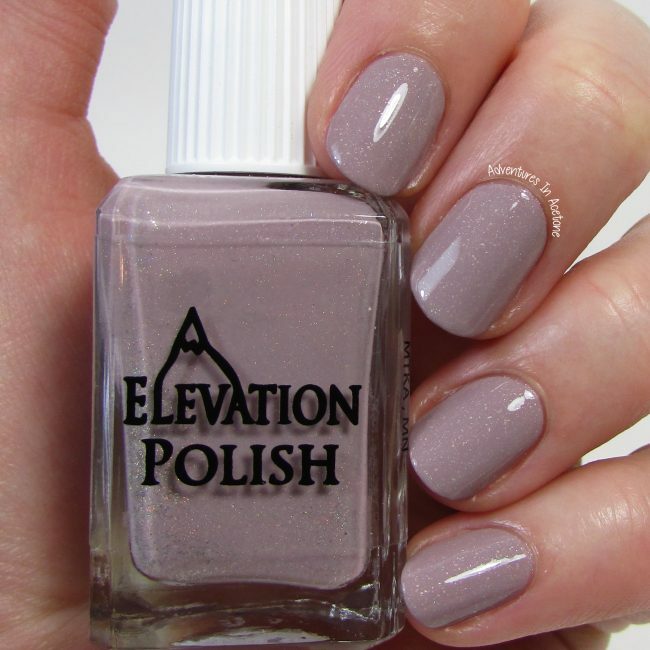 Natural Mauve, light dusty purple. 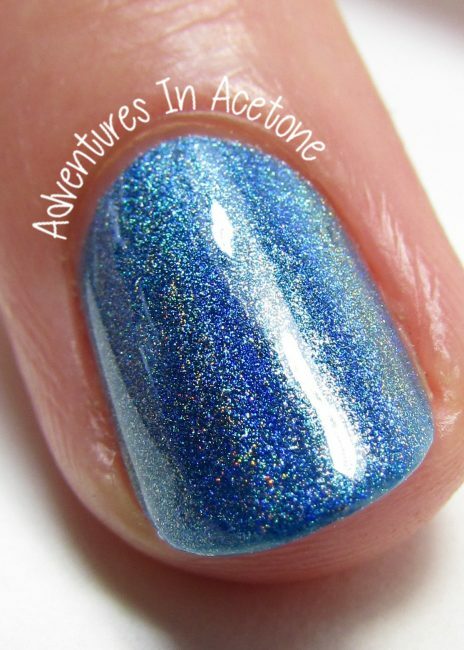 Platinum micro flake shimmer with a slight touch of holographic pigment. 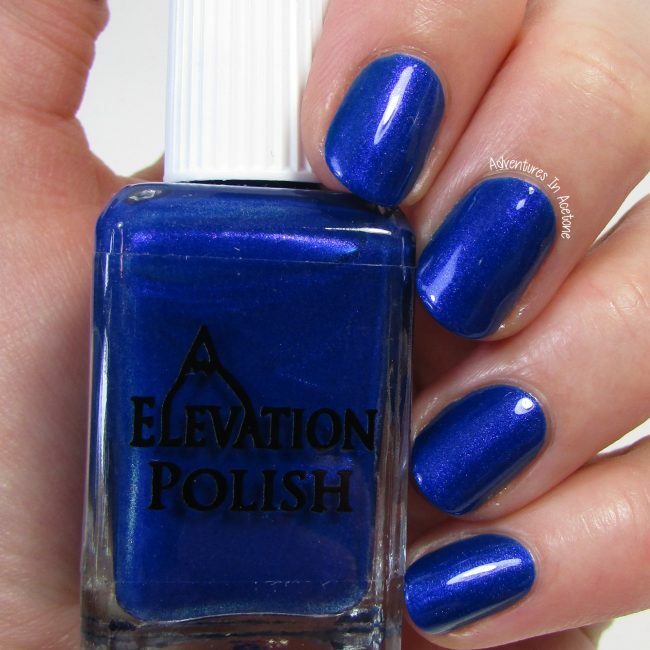 I’m showing two coats below with top coat. This has really nice coverage! 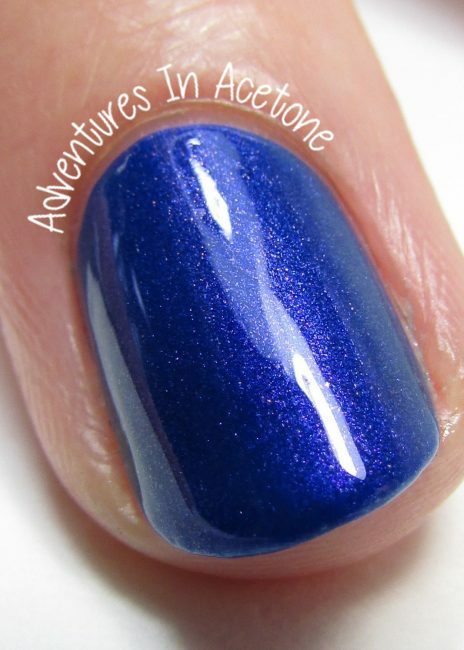 Royal blue crème/jelly hybrid. Shifting micro shimmer. Mostly looks like violet micro shimmer. 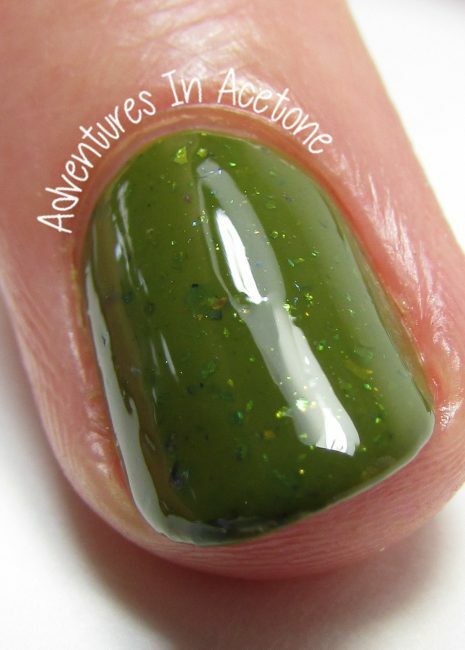 Swamp Olive green crème/jelly with Ultra chrome flake shimmer in gold, green, blue. 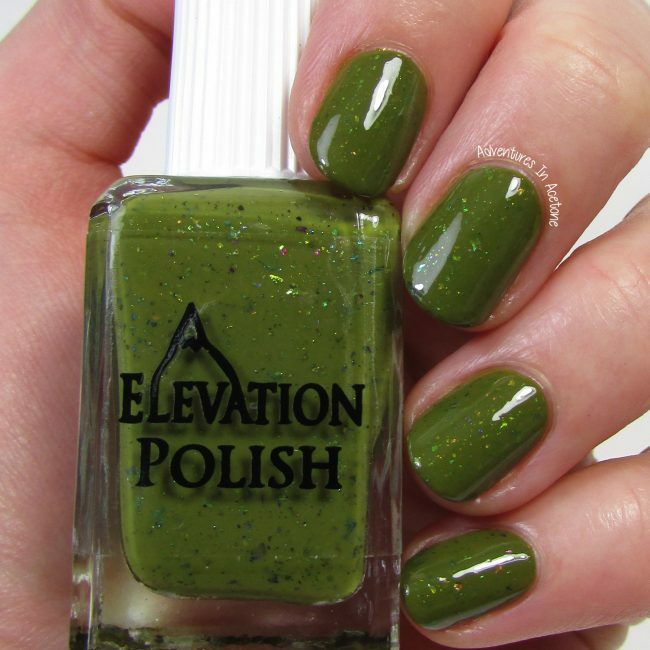 This is definitely a swampy green but the added flakes make it more wearable for me. Metallic green gold holographic. Thinner style formula. Color deepens and darkens with added coats. 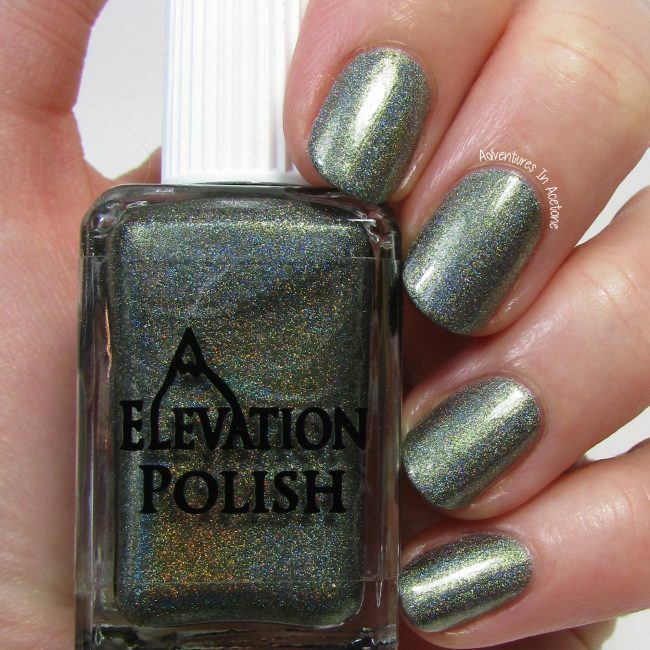 The holo is there but it shares the spotlight with the metallic finish for a cool combination. 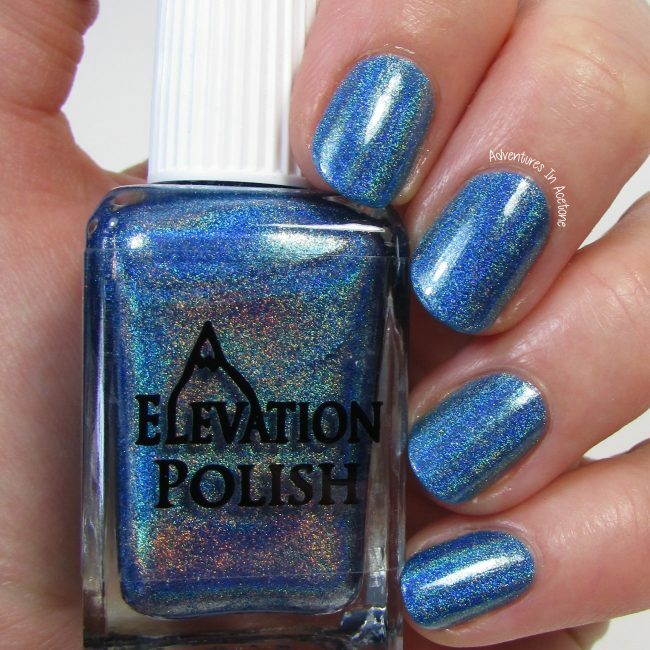 Bright and Vivid blue linear holographic. 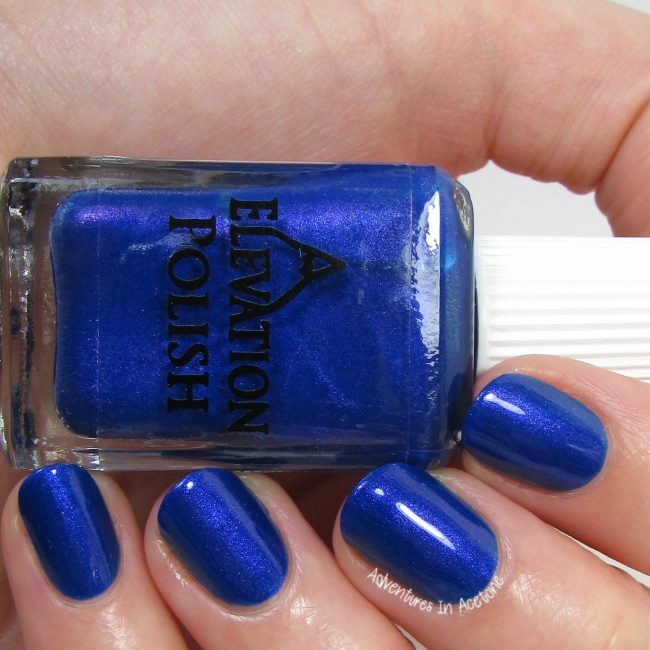 I’m showing two coats below with top coat for full coverage. 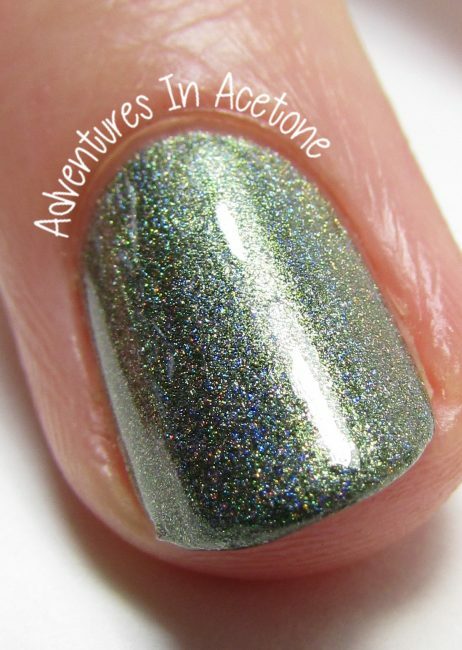 This is more holographic than Hall of Mosses and it’s brightness is gorgeous! 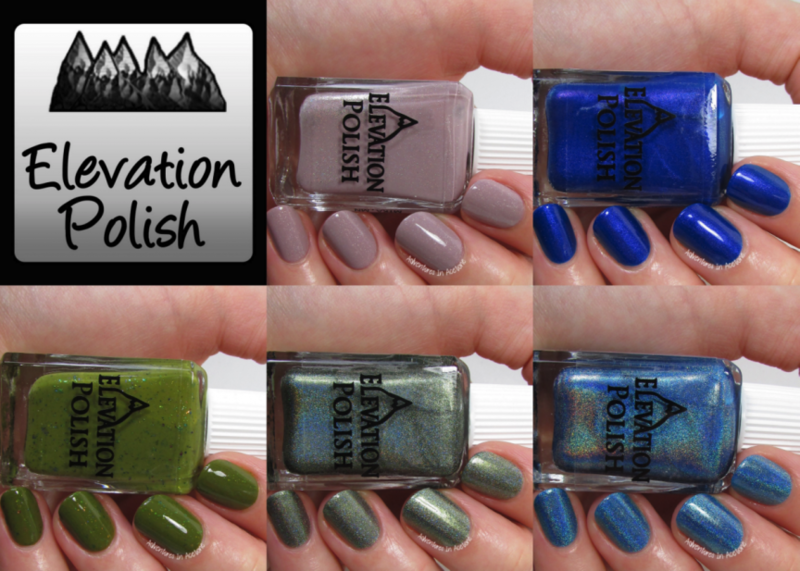 What do you think of the Elevation Polish Wonderful Washington Collection? Do you have any favorites? 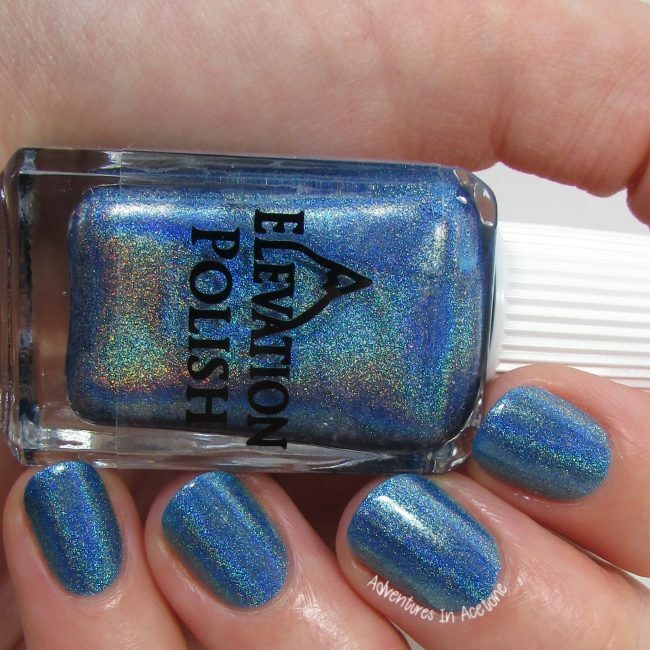 They are releasing on September 7th at 9PM Central with a restock on September 22nd at 9AM Central on ElevationPolish.com.